Last [month], NASA Open Innovation Program Manager Dr. Beth Beck and her team traveled to the Canadian Space Agency (CSA) near Montreal, Canada to attend the Inspiring Data Forum graciously hosted by our Open Data neighbors to the North. The goal of this gathering was to bolster the working relationship between the two Space Agency’s Open Data efforts and to present techniques NASA is doing in Open Innovation. The event was heavily attended by CSA employees and also had participants from National Research Council of Canada, Treasury Board Secretariat, Natural Resources Canada, Agricultural and Agri-Food Canada, MaxQ and Social Sciences & Humanities Research Council of Canada. During the forum, NASA had the opportunity to present the history of Open Government, approaches to getting started with Open Data and also demonstrated one of the unique aspects of NASA’s Open Data website, the distribution of digital content through the lens of personas such as Citizen Scientist, Developer, Govie, etc. NASA Open Data lead Jason Duley provided an overview of Open Data activities and approaches to sharing through purpose-built sites for Open Source Code, APIs and datasets. 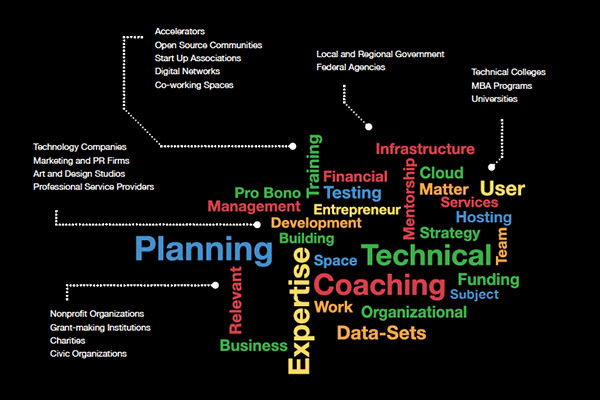 Beth Beck, being one of NASA’s foremost thought-leaders on Hackathons, conveyed how our agency successfully grew the International SpaceApps challenge each year, as well as how NASA engages with citizens in outreach programs like the Datanauts. A guided tour of CSA was given to the visiting participants and we had the opportunity to see the Canadian Robotic Arm, DEXTRE, and the various mission control operations and training facilities residing at CSA. In the afternoon session, Brodie Houlette of MaxQ gave a fabulous presentation of the MaxQ mission, open data and the economy and accelerating growth with open data as well as conveyed how the Waterloo data innovation accelerator was built from NASA’s Project Accelerator Toolkit and inspired his team to help other innovators succeed. NASA learned a great deal about Open Data from the CSA perspective during the trip. 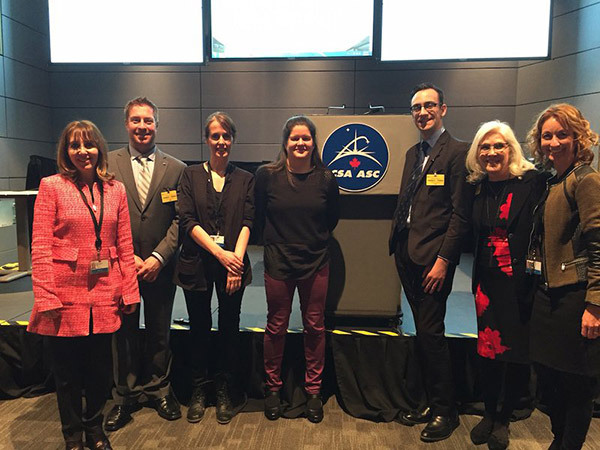 Special thanks to our hosts and especially Nathalie Lévesque of CSA for organizing this event!This post was originally published on the openNASA blog.